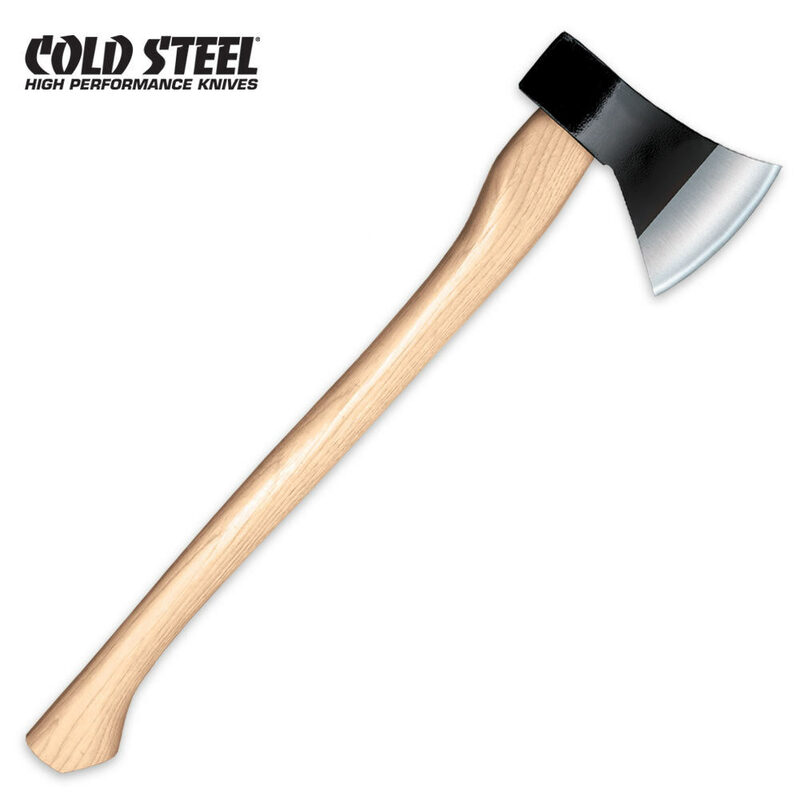 The Trail Boss is light and compact enough to carry all day in your hand or strapped to your pack, yet heavy and tough enough for chores that would make a hatchet or tomahawk scream for mercy. Featuring a European style head with a 4" 1055 carbon steel blade and a 4 1/2" cutting edge, it takes a big bite with every swing. Plus, it features a very stout straight-grained Hickory handle. 23" overall.